1. Disable air bag system. See DISABLING SYSTEM under DISABLING & ACTIVATING AIR BAG SYSTEM. 2. Release shorting spring on air bag sensor assembly connector A19. See RELEASING SHORTING SPRING under DIAGNOSTICS. Measure resistance between Yellow-Red wire (circuit SFL+) and Yellow-Green wire (circuit SFL-) of left-side air bag squib harness connector. See WIRING DIAGRAMS . If resistance is more than one megohm, go to next step. If resistance is less than one megohm, repair or replace harness or connector between left-side air bag squib harness connector and air bag sensor assembly. 3. Reconnect air bag sensor assembly connector A19 to air bag sensor assembly. Connect negative battery cable. Wait at least 2 seconds. Turn ignition switch to ON position. Wait at least 20 seconds. Clear DTCs. 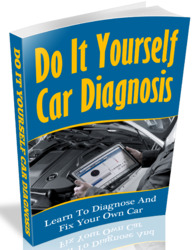 See CLEARING CODES under DIAGNOSTICS. Turn ignition switch to LOCK position. Wait at least 20 seconds. Turn ignition switch to ON position. Wait at least 20 seconds. Retrieve DTCs. See RETRIEVING CODES under DIAGNOSTICS. If DTC 47-B0115 is not displayed, go to next step. If DTC 47-B0115 is displayed, replace air bag sensor assembly. 4. Turn ignition switch to LOCK position. Disconnect negative battery cable. Wait at least 90 seconds. Reconnect left-side air bag squib connector. Connect negative battery cable. Wait at least 2 seconds. Turn ignition switch to ON position. Wait at least 20 seconds. Clear DTCs. 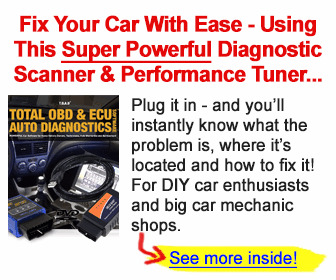 See CLEARING CODES under DIAGNOSTICS. Turn ignition switch to LOCK position. Wait at least 20 seconds. Turn ignition switch to ON position. Wait at least 20 seconds. Retrieve DTCs. See RETRIEVING CODES under DIAGNOSTICS. If DTC 47-B0115 is not displayed, system is functioning properly at this time. Check for intermittent fault. See AIR BAG WARNING LIGHT INTERMITTENT . If DTC 47-B0115 is displayed, replace side air bag module.